Another PBX phone company recently declared bankruptcy. If you’re an Avaya customer, this is definitely concerning news. Avaya TDM Private Branch Exchange (PBX) users represent 22 percent of the legacy PBX user market. If you’re still using traditional switching technology for your on-premises PBX, it’s time to consider the benefits of cloud-based IP (VoIP) phones and Unified Communications (UC) tools for your business. Whether or not you’re dealing with the possibility that your business communications equipment will no longer be supported by a phone company that’s gone bankrupt, there are some serious business continuity risks associated with using outdated TDM phone systems. If you’re a customer of Avaya or another traditional phone equipment company experiencing financial troubles, having a plan in place to weather the transition is important. Is There a Tomorrow for Yesterday’s PBX Users? Avaya is far from the first traditional phone provider to file for bankruptcy or transition away from making time division multiplexing (TDM) phone systems in favor of different products. Nortel declared bankruptcy in 2009. In relatively recent history, Siemens, Ericsson, GTE, ITT, Toshiba, and IBM have all disappeared from the market. While it’s not clear exactly how long your legacy PBX phone system will be supported, it is clear why there’s so much disruption and financial troubles among the rapidly-shrinking pool of traditional phone companies. The global market for traditional PBX users is projected to shrink over the next two years to $6.9 billion by 2019. In contrast, the market for cloud-based Unified Communications is exploding and projected to reach over $143 billion by 2024. Companies using legacy TDM PBX equipment are already forced to buy costly cabling work to add phone lines, poor integration potential, and proprietary infrastructure. You can’t just extend or update a system from Nortel using boards from Toshiba. In contrast, cloud-based VoIP phones and communication tools offer real inherent benefits, including lower costs, better scalability, easy data integrations, and investment in a future-proofed technology. No, but seriously. If you're on a legacy PBX instead of cloud-based communications tools, it's time for action. What should legacy TDM users do? Getting the most out of your existing contract is likely the wisest place to start, especially if your time to update security flaws with patches is limited. “Assess the damage before you jump to damage control” recommends Marketing Director Tracey Klepic of Broadsoft. Here’s where the real fun begins. In order to begin planning a switch to cloud-based communication tools, you’ll need to understand where you fall in terms of existing tools, hardware, and the number of users at each of your sites. Performing an audit can help you begin pricing out a switch to Unified Communications as a Service (UCaaS). If your legacy PBX hasn’t technically reached the end of its lifecycle--as calculated in terms of equipment depreciation--performing an audit may also help you ask for the money needed to switch to a new phone system. Trial-Based Migrations: A select number of your users, often the IT team or another department, can use a new UC platform like Broadsoft on a trial basis to test features and functionality before committing to a full, site-wide deployment. Hybrid Migration: Truly overnight “big-bang” implementations of UC tools are relatively rare, especially among larger enterprises with multiple sites. Depending on your vendor and TDM PBX, you may be able to create a hybrid environment where your existing PBX ad new cloud-based phone systems are interoperable for a period of time. 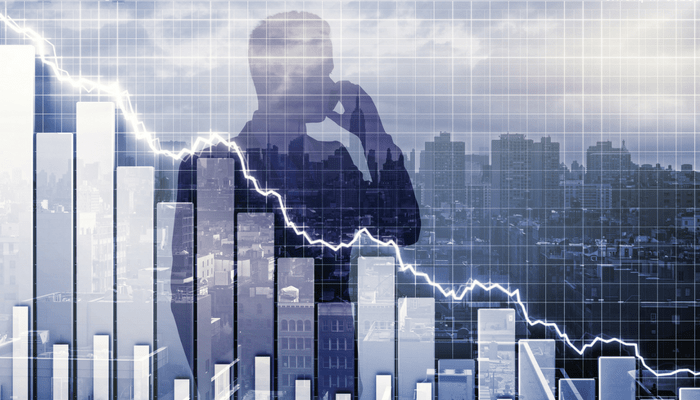 Depreciation-Based Migration: Some enterprises are making the switch away from TDM in a depreciation-based way, by shutting down their legacy PBX systems as the value depreciates. If your budget doesn’t enable a full switch to cloud communication tools, you may be able to migrate the sites or departments with the oldest and least functional equipment first. If you’re not sure, that’s okay. With the right UCaaS vendor on your side, you can leverage the help of seasoned telecommunications experts to decide the future that makes the most sense for your organization and budget. For Montgomery College, a shorter phased migration proved the right approach to becoming a next-generation connected campus with UC tools. Read their case study here! Expensive Maintenance: Servicing proprietary TDM PBX equipment is already expensive and difficult, and it’s only going to become more challenging when a manufacturer goes out of business and stops certifying and training technicians. Hard-to-Find Hardware: You may be able to find used handsets and boards to scale your system up if you need to add new users. But, phone equipment that’s no longer being made won’t be cheap. Security Flaws: Traditional cable-based phone systems offer security disadvantages compared to cloud VoIP phones, especially if you take into account the inherent security of cloud communication tools delivered via a direct circuit to your vendor. When manufacturers close their doors, you could be putting your data at risk as your PBX system ages, and you no longer have access to necessary security updates. If you’re hoping to hear about a new technology that will future-proof your business against technological change, you’re going to be disappointed. There’s no such thing. While switching to Unified Communication tools is likely the best way for businesses to achieve effective collaboration and productivity today, who knows what the best option will be for your organization in 2024. The next best thing your organization can do is stop putting your eggs in one basket and avoid being dependent on a bankrupt company by switching to the cloud. Unified Communications as a Service offers the advantage of flexible monthly billing (OpEx), where you pay only for the services received. Instead of having to invest in a costly on-site TDM PBX, you’re able to receive your services via fiber-optic internet and pay based on usage. 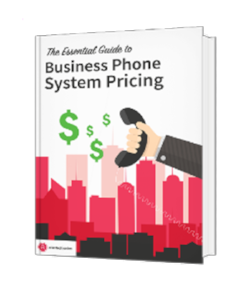 This offers a lot more agility than budgeting for your on-premises equipment to depreciate over 5-9 years and crossing your fingers that the manufacturer’s still able to keep selling you handsets as your business grows (CapEx). Organizations that move their tools to the cloud can scale their service up and down and change apps as business best practices change. Instead of spending your communications budget on costly extensions of your proprietary TDM PBX, your IT team can test out new features for file sharing and chat, and purchase the options that allow your organization to take advantage of cutting-edge options for collaboration. If you’ve learned that your phone manufacturer is going out of business, you’re not without hope, but it’s definitely time for action. Even if your legacy PBX provider is still operating, you should take recent headlines as a clear sign to get moving. By selecting the right UCaaS vendor to help your business switch to the cloud in a way that makes sense for your needs and budget, you can ensure you’re never between a broken TDM and a hard place. To learn more about Atlantech’s commitment to helping legacy PBX users transition to the cloud with custom-designed implementation plans, click here to speak to an expert representative today.